I've recently been doing some analysis of the Economic Deprivation Index for England, focusing on a number of different cities. 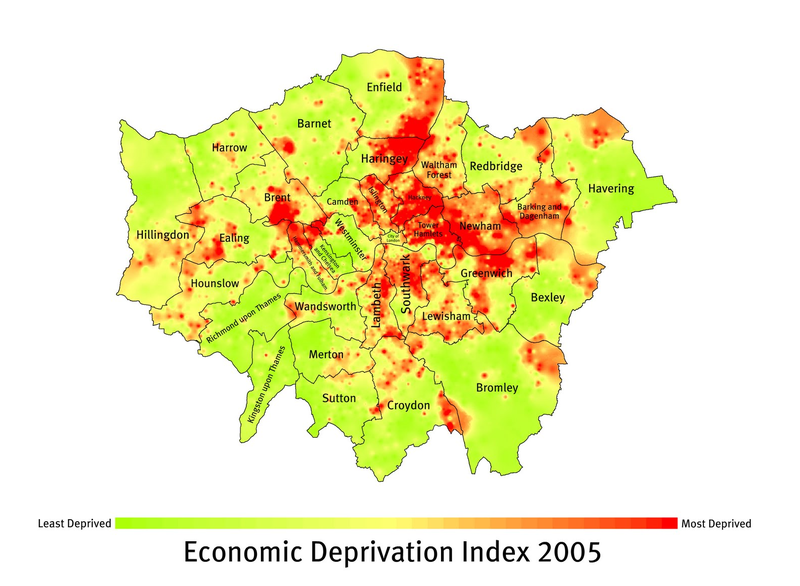 This is part of some research I'm doing into concentrated disadvantage more generally so I thought I'd just post a map showing the data for London in 2005. 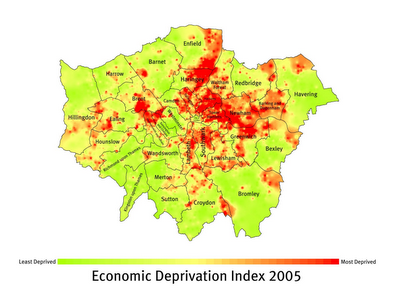 The map below shows data for the EDI in London in 2005. It's pretty similar to what you'd expect but it does make interesting viewing... If you click the image it will open up full size in your web browser. That's all for now, but I plan to post more like this in future.